Honorary Mayor of Middleborough candidate George Andrade, Jr.
My name is George A. Andrade Jr., the son of Mr. and Mrs. George A. Andrade Sr., of 316 Old Centre Street in Middleborough. We moved to town from Bridgewater at the age of 9 and in the 3rd grade. I am one of 5 children. Two boys, and two girls, ranging in age from 68 to 45 years old. Today my parents still live where we grew up and have committed to helping and serving in other capacities here in Middleborough, mainly where they attend church at Sacred Heart Parish. I went on to continue school in Middleborough and graduated class of 1970. The service had come up with a new system from drafting for the armed service. It was called a number system. 365 number, one for everyday of the year. When they picked your birthday what ever day of the year it was picked on that was your draft number, I drew 285 so chances of me being drafted, unless a war was declared, were slim. So I went to college, unlikely for me but I went. As my parents were not in the position to afford sending me to college I ended up working my way through, finding anything I could from pumping gas to working on the farm, or at local restaurants. 45 years on the job. In the early eighty's I was also a substitute teacher for the town working from 2nd grade to the High School level, but mainly at the Junior High School for Mr. Allen Lindsay who was the principal at the time. So it would be fair to say that I have dedicated most of my life energy serving the town of Middleborough. I am the father of two beautiful children and four stepchildren. All successful, healthy and on their way to good lives. I am married to a beautiful young lady from the Philippines and hope to enjoy the rest of our lives together, traveling and enjoy time together in the community of West Wareham where we make our home. I am involved with our parish, St. Patrick's doing volunteer work and trying to strengthening our faith. We enjoy life and want to spend time doing things together and making our marriage complimentary to God's way of living family first and foremost. Deputy Mayor candidate George Alfred Philbrook was born in Woburn MA to William Philbrook and Maey Wentworth. He had a brother named Charles, and both he and his brother had an interest in the technology of electricity. When George was 14, he took his first job at the Thomson-Houston Electric Company. 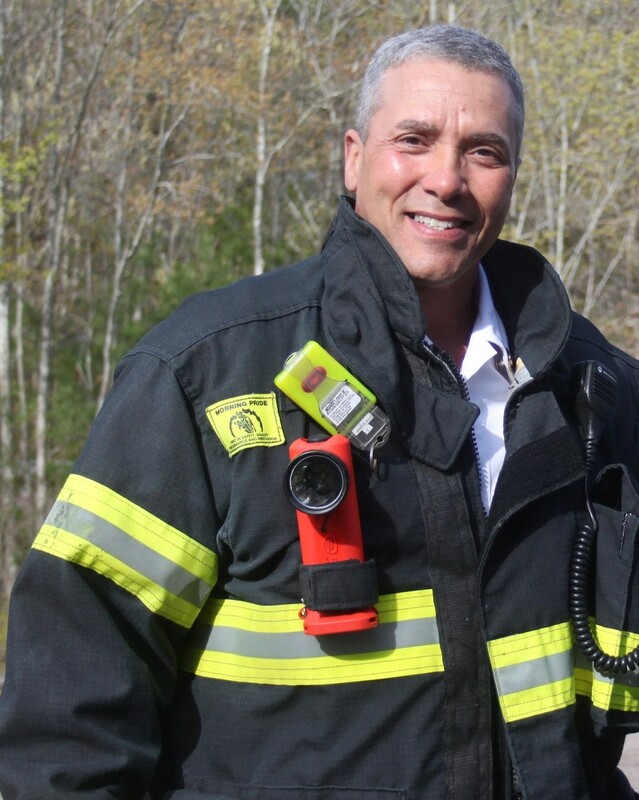 When he was 24, he started his first position with the Middleborough Gas and Electric plant. That was in 1894, and he stayed with the G&E until he died in 1945 (at age 75). George became active with the Fire Department at age 30 in 1900. He rose in rank until he became Captain in 1929. He served in that capacity until 1937. He resigned, but apparently only to have more time available to work for the G&E Department.